UPDATE – Infielder gloves can make or break your game. Which is why you should do your research before buying the best infielder gloves. In this article, we try our best to give you the information you need in order to have a great game for years to come If you don’t have much time and need to see what we recommend. Read This. 1 Is it the right size for you? 4 What Makes The Best Infielder Gloves? Is it the right size for you? Size is the most important thing to keep in mind when choosing a glove. This table will give you an idea of what measurement you need. Pick the wrong size, your game will be ruined. You will also waste money if you pick the wrong one. OVER 14 12-13" 11.25-11.5" 11.5-12"
Baseball gloves are made of leather. 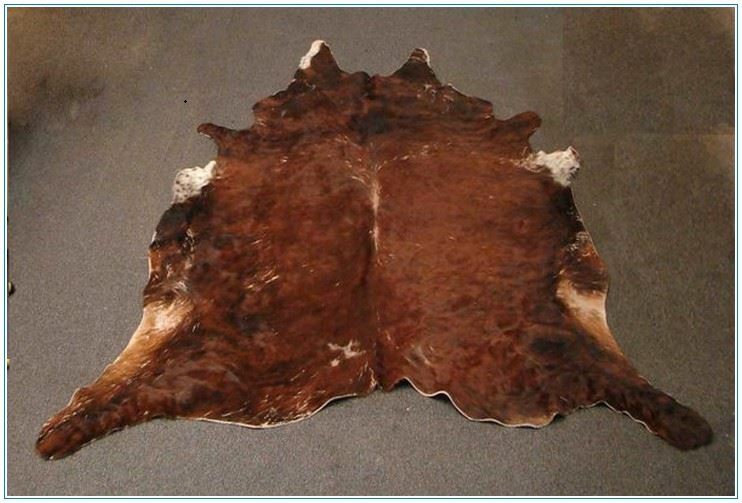 Different kinds of leather leads to different kinds of quality. A general rule of thumb here is, expensive gloves is equal to high quality leather. Different gloves requires different break-in time. So be extra careful when choosing the gloves you buy. If you need the gloves quickly after purchasing, then we suggest buying gloves with faster break-in time. But if you are looking for high quality infielder gloves, then choose one that is stiffer. Stiffer leather takes time to break-in but lasts a long long time which is a pretty good investment for you and your baseball career. When in comes to infield gloves. you will surely get what you pay for which means buying an expensive gloves will have better leather therefore getting a better gloves. Webbing – As you may know, different gloves have different kinds of web types. But for infielders, the most commonly used type of webbing are those with a looser stitch like open web and I-web among others. This kind of webbing give the player the ability to quickly get the ball out of his glove. Pocket Size – Being an infielder means passing the ball quickly especially during double plays, therefore requiring shallower pocket to get this result. Gloves with shallow pocket is great for infielders. What Makes The Best Infielder Gloves? It is necessary for infielders to make a quick transition from the gloves to the throwing hand which is why the gloves must have shallow pocket compared to others, thus giving it the ability to throw the ball quickly after catching the ball. Infield gloves with inexpensive leather not only makes the ball hard to catch, it even makes holding difficult for the player. Which is the need for high quality leather for better holding of the ball. Better leather naturally makes the glove durable and retains its shape. Having a baseball gloves not specifically made for infielder will give you a fair amount of disadvantages like slow throws and sometimes missed catch, thus reducing your potential in the field. a lesson I learned from my friend is when he made the wrong decision to buy an “all purpose” gloves because he doesn’t have a permanent position yet. He decided to buy an outfielders gloves since he takes a liking to it. But after taking the position of 1st baseman, little did he know that his game will be ruined just by using a wrong gloves. Which is why it is very important to buy the specific gloves for a specific position. 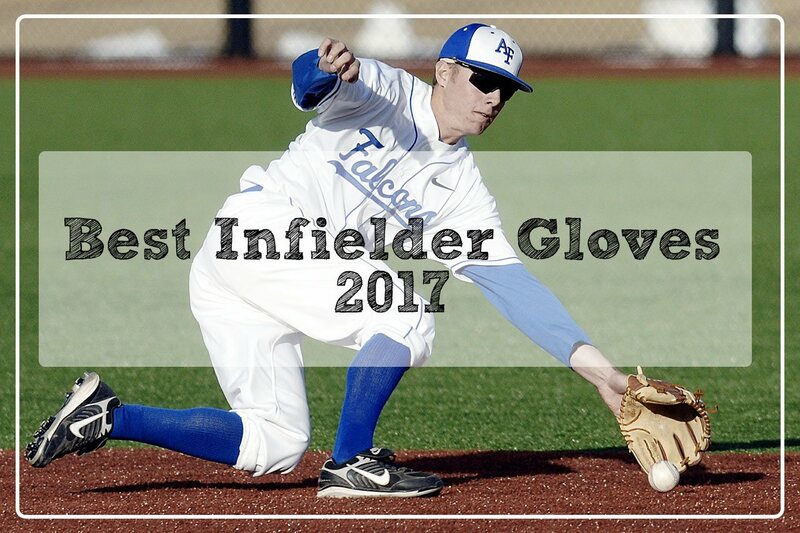 Now that you know what makes the best infielder gloves, here is the list of our top pick. 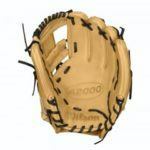 Wilson gloves is one of the favorite when it comes to infield gloves and the A2000 series is among the most popular today. This glove is easy to break-in because it is made of Pro-Stock Leather, a carefully selected american steerhide. It has a durable pocket and is able to retain its shape for multiple seasons because of the dual welting. It also has a shallow pocket for faster transfer from the glove to the hand. For people with sweaty hands, this will be a great investment because it has a Dri-Lex technology making the hand breathable, the moisture absorbing wrist lining makes the hand cool and dry naturally giving more comfort for the player. The Pro-Stock pattern which are inspired by game experts and pro ball players makes it on of the highest performing infield gloves in today’s market. Just like the review above, this Wilson A2000 DP15 is fairly similar in most aspects. But one thing that stand out about this glove is because it was specifically made to Dustin Pedroia’s specification. Major customization includes rolled welting instead to dual welting which give durability and keeps the shape in tack for a long time. The low profile heel design gives it the flexibility for easy opening of the palm and pocket. It also helps from getting balls from awkward grounders. Easy break-in like the other Wilson’s Gloves. Bear in mind that the leather used in there gloves can easily get soft. This can be bad or good depending on your preference. The extra long laces included in this glove gives it a snug fit that no other A2000 model. All this custom tweaks is one of the reason he is now an MVP in baseball. This version of A2k is carefully crafted by expert technician from their factory. The web, pocket and feel is specially designed for infielders thus making it stand out among other gloves. The shaping done to this glove gives it a better break-in time compared to other Wilson gloves. After wearing this glove, you will notice that the pocket is more stable and durable because of its dual palm construction. Overall, this A2K gloves gives outstanding performance in the fields and is able to retain its shape for long period of time and have a intuitive feel for player thus giving a boost in performance. The leather is soft, which can be bad or good depending in your preference. Rawlings’ new gold glove series is made with high quality European leather. It is not yet pre-broken so people might find it too stiff for first time use. But after a while, players will find it great to use and they will have greater control at the ball. It comes with three sizes to choose from giving players option depending on the size they want. The additional pre-curved padding they used on this gloves provides additional protection for the hand thus reducing the sting from hard hit balls. I must say that although it is expensive, this gloves’ performance and ergonomic design is a great investment for pro-level players. It will also last for decades to come because of its high durability. This Mizuno gloves has a soft leather that is easy to break-in which is great for players that wants to use it quickly. It offers a great flexibility from it individual fingers giving it a natural comfortable feel. Also recommended for college level players, you can say that it has great product features for its price. After putting it in your hands, you will feel that it will be comfortable for the hands and fingers. You will also notice that the thumb and pinkie can easily close and open the glove thus providing a tight grip for the ball and offers quick transition to the throwing hand. Different manufacturer uses different techniques to reduce break-in time for player. For example, Wilson uses craftsman shaping which means that technicians from the factory pounds the gloves thus making it pre-broken. Other company like Louisville uses oil infusing technique giving the same reducing break-in time. While others don’t pre-break their manufactured gloves, one disadvantage of this is that stiffer gloves will be longer to break-in. When choosing the best infielder gloves, one things is surely true, you get what you pay for. With that said, I hope you have the best games in your baseball career.